Friday Photo is a writing prompt to get me thinking about writing. Well, it happens to be Sunday now, and I am just getting around to posting this. Does it count that I started it on Friday? I think so. I love looking at the old photos in my collection. They are such a peep-hole into the past. What is even more amazing is my mother can look at the photos and remember what color the dress was or where she was going. She has that kind of memory. Me on the other hand, I cannot even remember who my college roommates names are. So, when I get together with my mom I usually will have questions for her about a photo. This week I posted this photo on Facebook for Throw Back Thursday, a prompt started on Facebook to show people old pictures of ourselves. 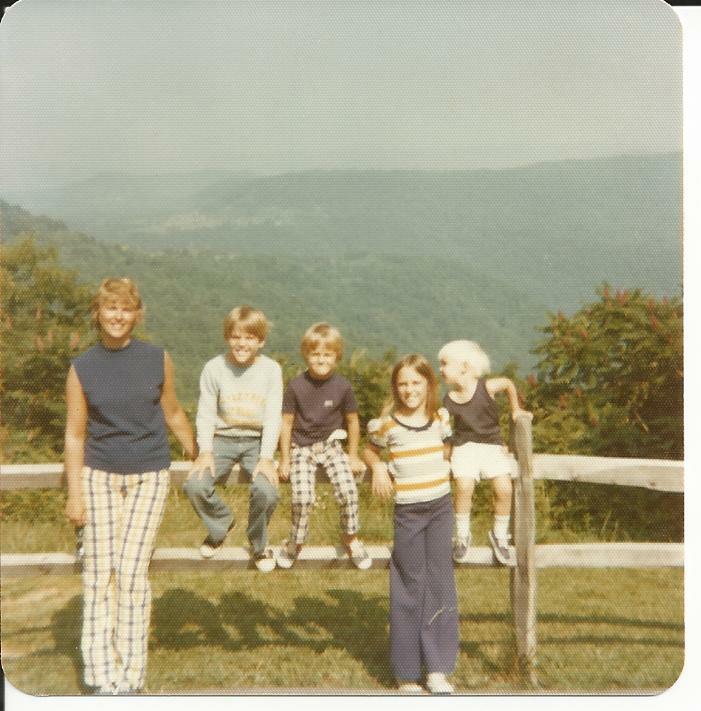 My mom, true to form was able to tell me where the photo was taken and also that she had made the pants that she wore in this picture. Never did I know that our family took a vacation to Pipestem, West Virginia. Since it is 2014, I promptly typed that name into my internet browser and found the state park my mother was talking about. My mother reminisced about how my older brother David was stung by a bee and “screamed like the devil.” My younger brother, Joe, approximately 3 years old at the time, went horseback riding. What are some of your favorite vacation memories?